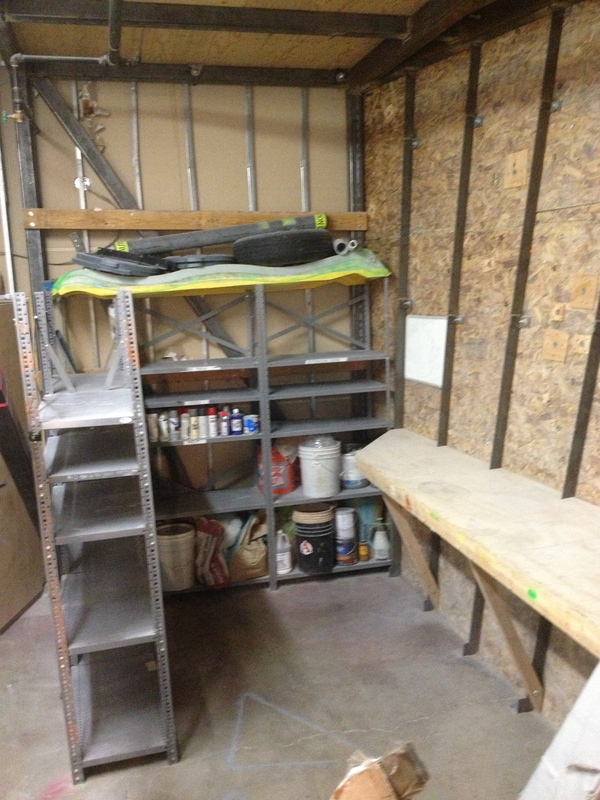 Quick Setting Update – June 11 & 12th + Tuesday June 18th + New Treadwall! Last week (June 11 & 12) we set the River and also reset the Treadwall. Today we reset the Left Dojo, and we’ll set more tomorrow. The Treadwall has two things going on. 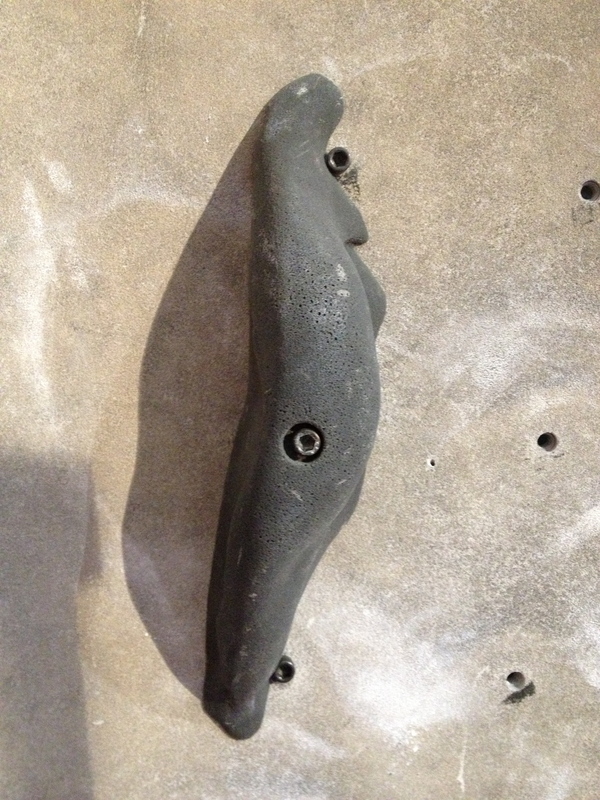 First of all, Ian Powell has set some training problems, which are labeled “Powell Ladders”, and some other problems focused around doing big moves on a variety of holds. If you want to know more about how they work, feel free to ask Ian if you see him around. 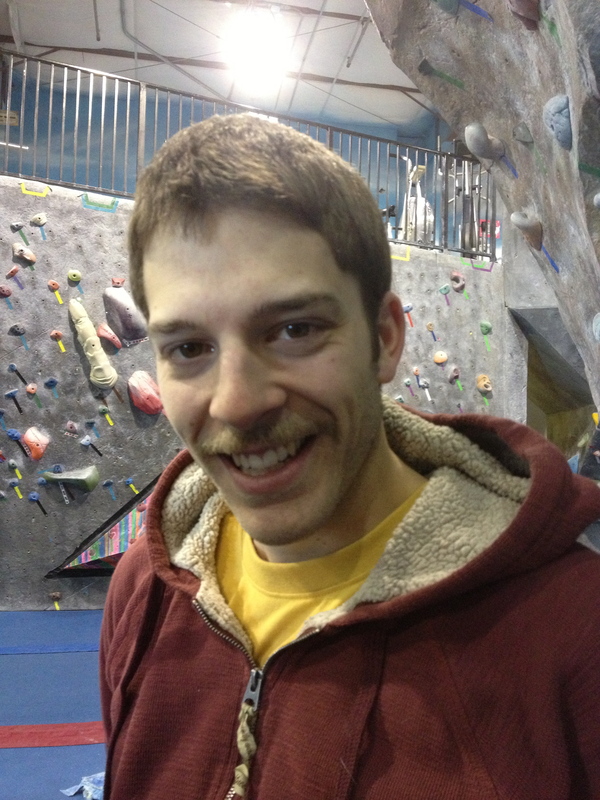 He has some different theories about training for climbing using the treadwall and we are excited to give him the opportunity to share those theories with Spot climbers. 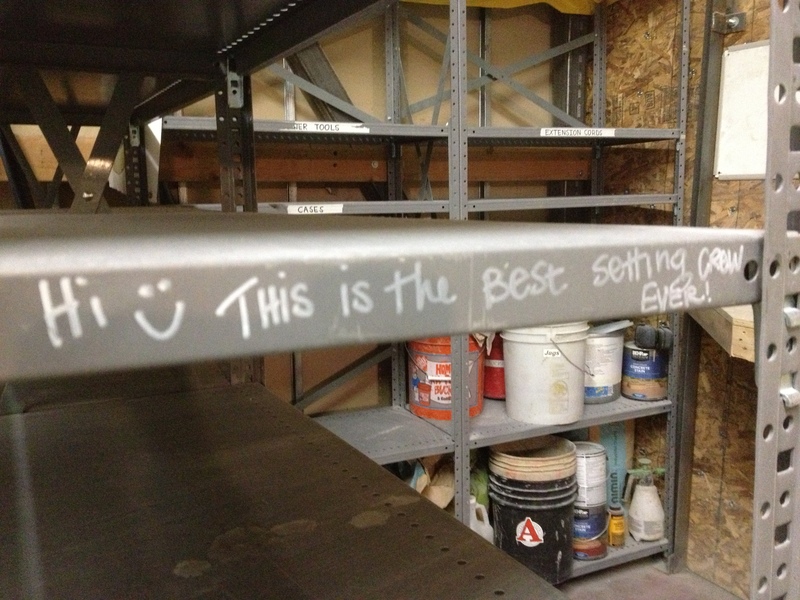 In addition, we will be posting some explanations near the treadwall in the near future. 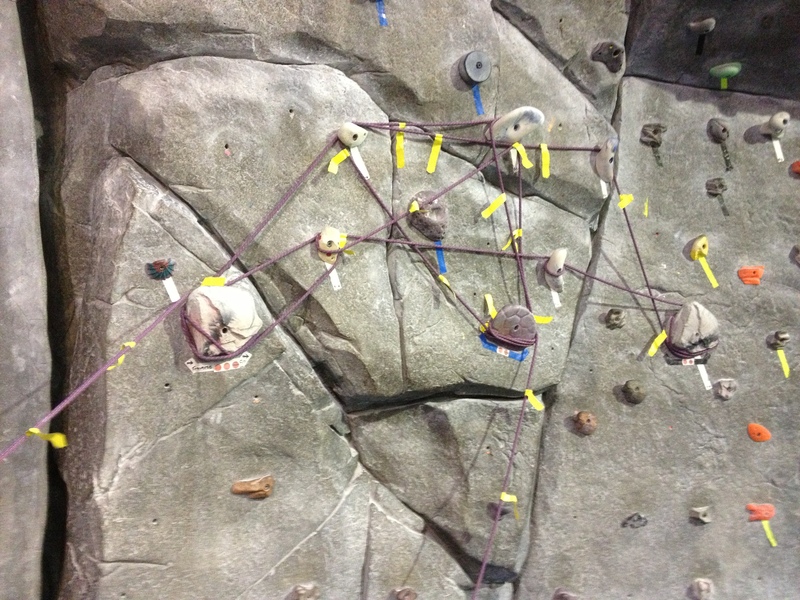 Secondly, Lily and I set a bunch of routes. 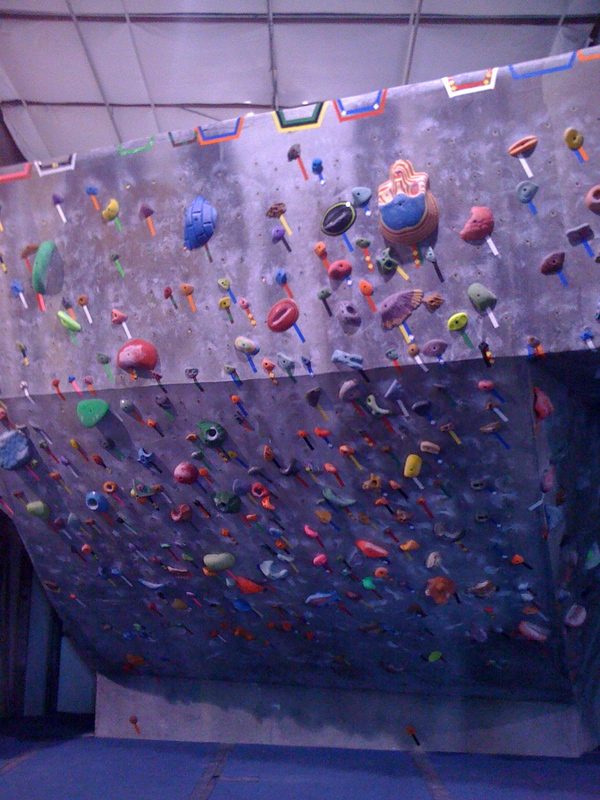 In the past we have set the treadwall with a left-to-right ascending difficulty, that is, all the problems start on jugs in a line and as you moved right across the wall the problems got harder and harder. 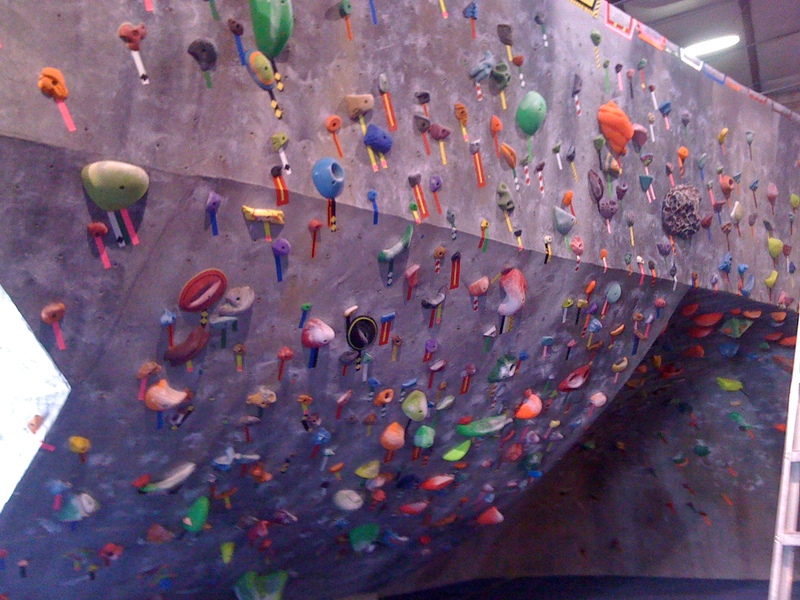 Due to the needs of the summer camps, the desire of some customers to climb 2 climbers at a time on the treadwall, and other requests, we have tried something different this time. 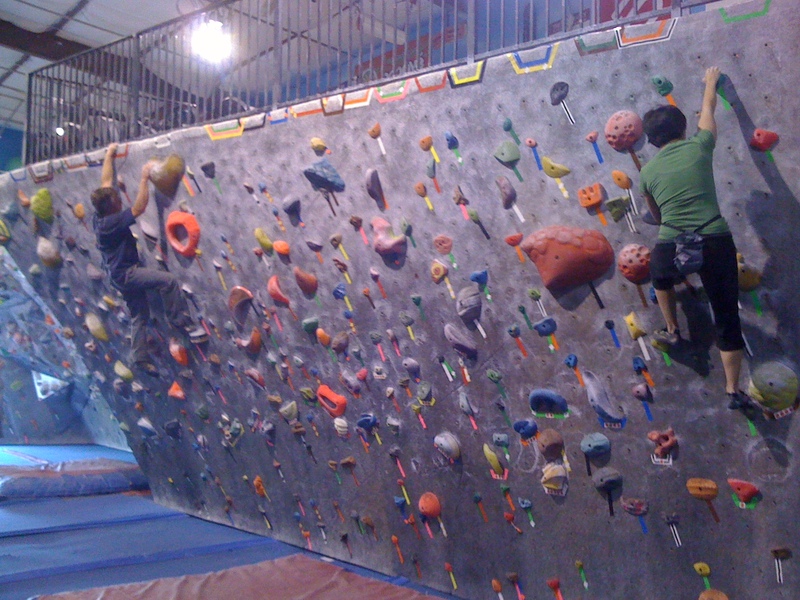 Now the difficulty level of climbs on the treadwall is more of a pyramid, that is, easier on both sides and harder in the middle. Remember, all treadwall problems can be adjusted for difficulty by changing the angle of the wall to steeper or slabbier, so try them out at different angles to see what is best for your training. Also, please feel free to leave treadwall feedback, or any other setting feedback, in the comment box at the gym. Sorry I don’t have any new wall or treadwall pics. Should have some of the new Dojo tomorrow, and don’t forget we have most of our BRAND NEW FLOORING in, so come by and check that out if you haven’t yet. We think it’s pretty awesome and we think you will too! The newest section of New Futurist Floor covers the Font and River boulders. Hueco and Dojo are the last parts of the gym and the floor for them is coming by mid-July! Setting Update + Mini-Comp + 2 Years, and what has changed? 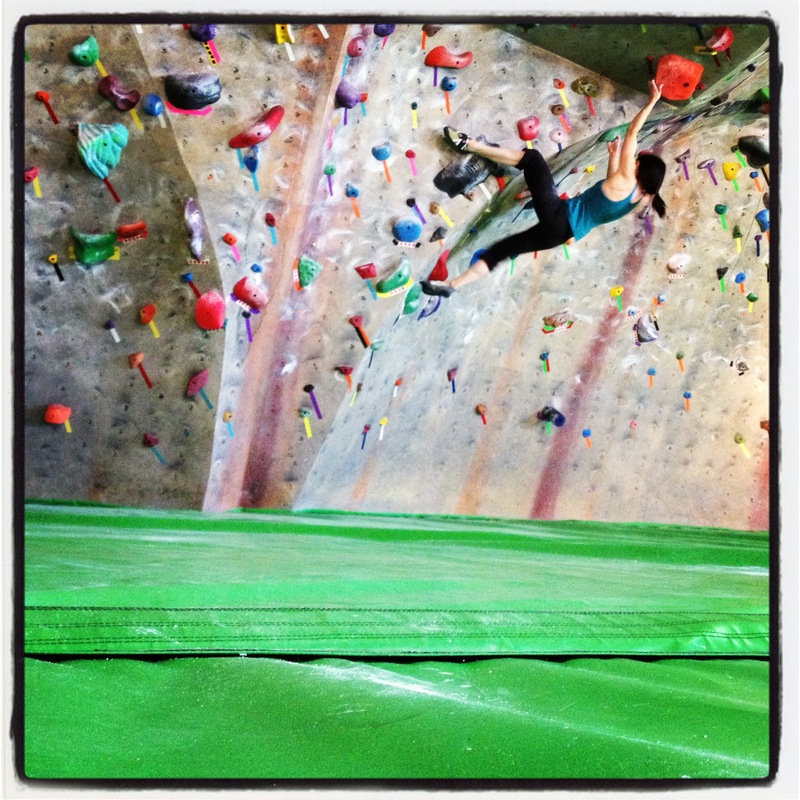 As you know, we had the Highballs & Highlines comp last week. That means this week was the first part of the reset. We got problems up on the Dojo, Full Hueco, Full River, and Full Font. Next week, the Beach! Things were a little different than normal because we ran a mock-onsight comp for our Comp Team to get them ready for Regionals this weekend in Fort Collins. 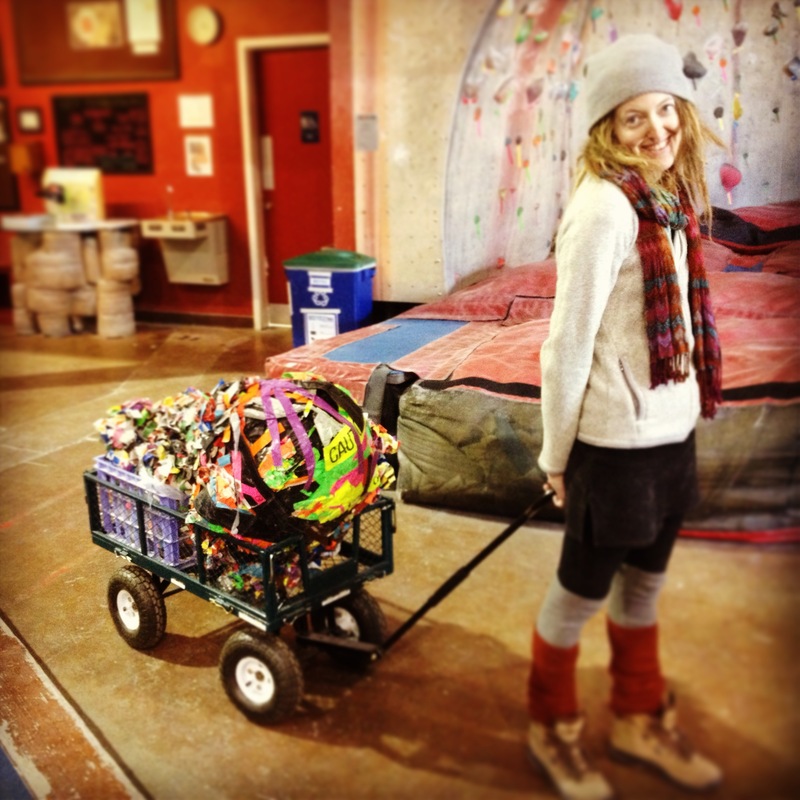 We closed off the Dojo and Back Hueco and set 4 sets of 3 boulders of ascending difficulty. 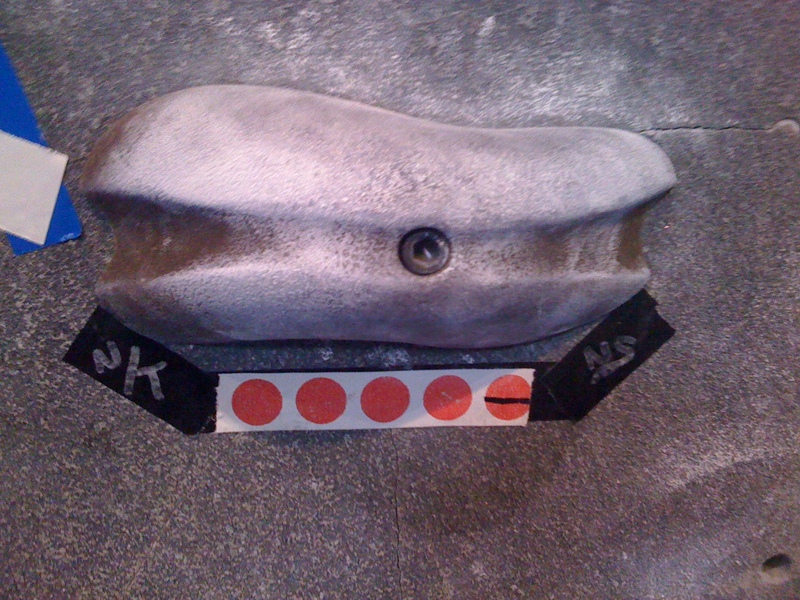 Each set had the first problem on the Right Dojo or in the cave, the 2nd problem on the Back Hueco Scoop, and the 3rd problem on the Left Dojo Belly. 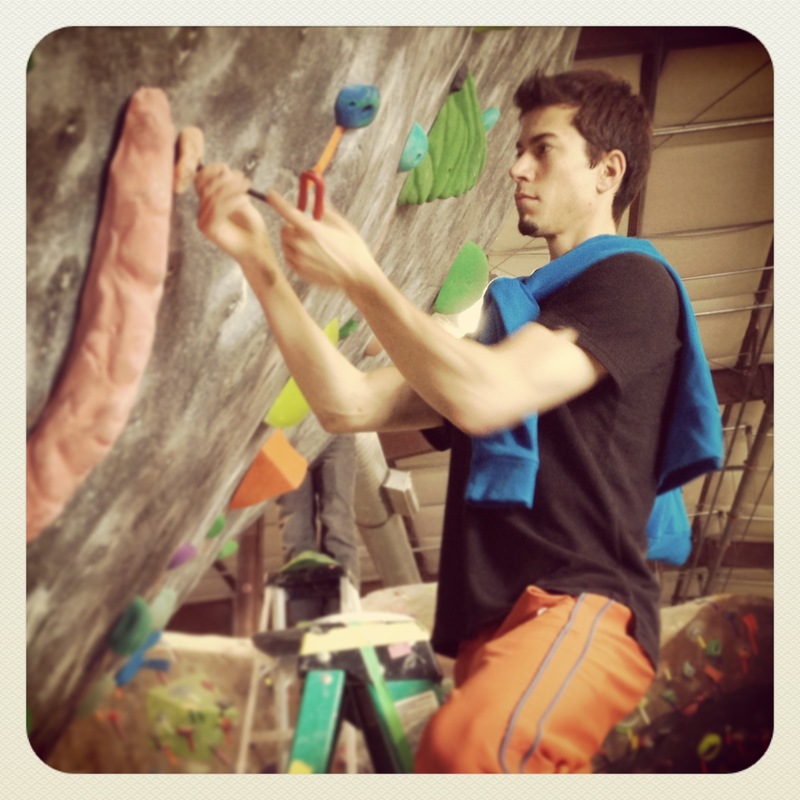 This week we added a bunch of climbs to both sides of the Dojo and Hueco boulders. Next week, the Beach! The week of Thanksgiving is pre-comp week so there will either be a light set, adding problems without stripping anything, or no set, depending on setters’ schedules. We’ll keep you posted. 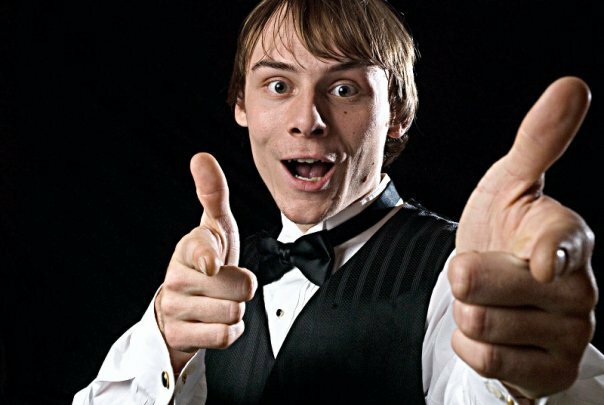 Get in here and check out the new problems! On Tuesday Jonny, Jon, Nic, Danny, Jay Jay, Carlo, and I reset the right river. 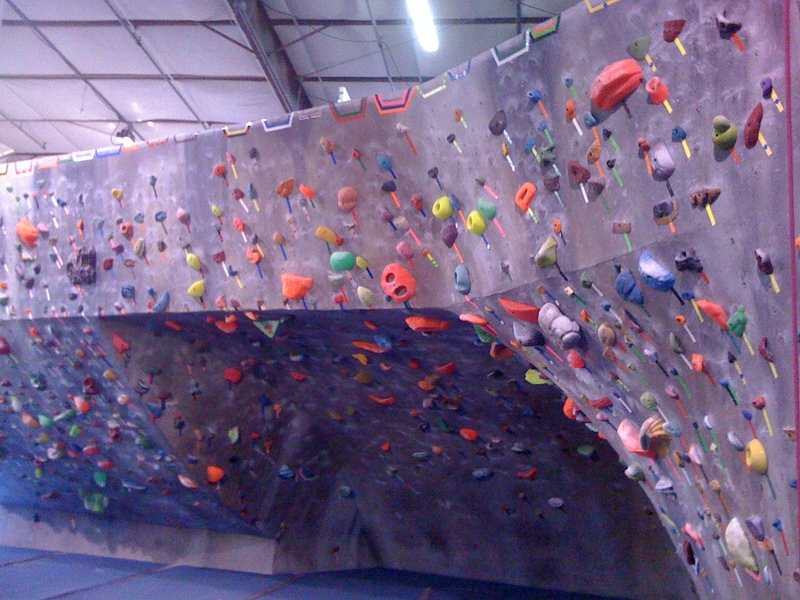 In a departure from my normal schedule I ended up climbing after setting for several hours and it seemed like everyone was enjoying the new problems. Especially cool are the white/green chico sloper problem on the arete, the white 4+ just right of the arete, the blue/black stripe/black chico just right of the arete (4+? ), the yellow 5 spot in the middle of the wall that is much harder than it looks, the black 5 or 5- in the middle of the wall that uses the 2 DRCC scoops, the red 5- on the right of the wall, and the blue 4- and brown 4- on the farthest right part of the wall. Actually, I think most of the problems were pretty fun and I hope you like them as much as we did. Several setters came in and stripped late Monday night to make sure we’d have enough holds for Tuesday (since density is up most of our holds are up on the walls right now). Though he’s been extremely busy with school and coaching, Garrett came in and helped us and ended up setting a problem as well. It’s on the far left of the Dojo and actually starts on the river wall and moves right into the Dojo at that sweet new DRCC sloper you can see in the left edge of the above picture. 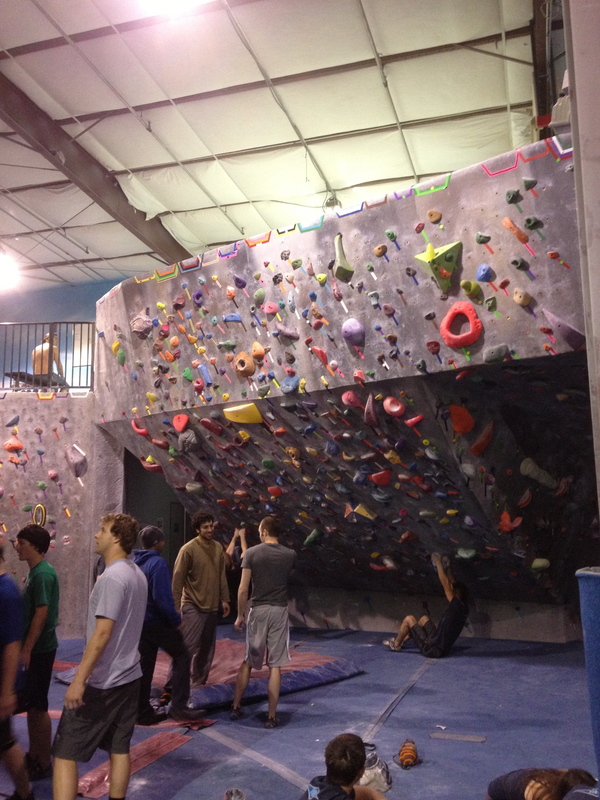 3 more of those awesome slopers are spread across the left Dojo and are on problems from 4- to 5+. Tuesday it was me, Jay Jay, Danny, Nic, Jon, and guest setter Gabor. Wednesday it was me, Danny, Jon, Nic, and guest setter Alton Richardson. I forgot to take a picture so I just trolled his Facebook and came up with this one. Alton Richardson Self Portrait. 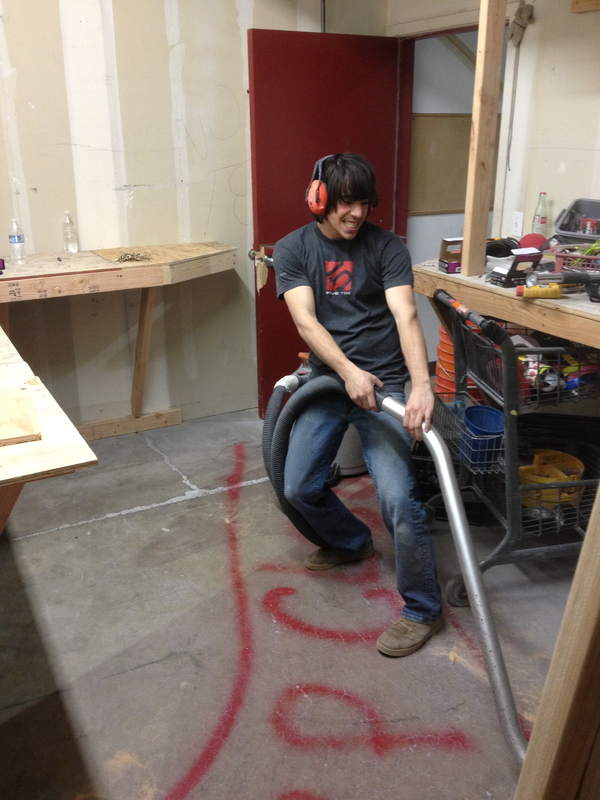 Alton just finished up a stint at Urban Climber Magazine and now he runs shoes around the La Sportiva Warehouse and interns with Jon and Jordan at LT11. He grew up in California and used to set out there, so we brought him in to help us give the Dojo a much needed reset. Thanks for your help Alton! 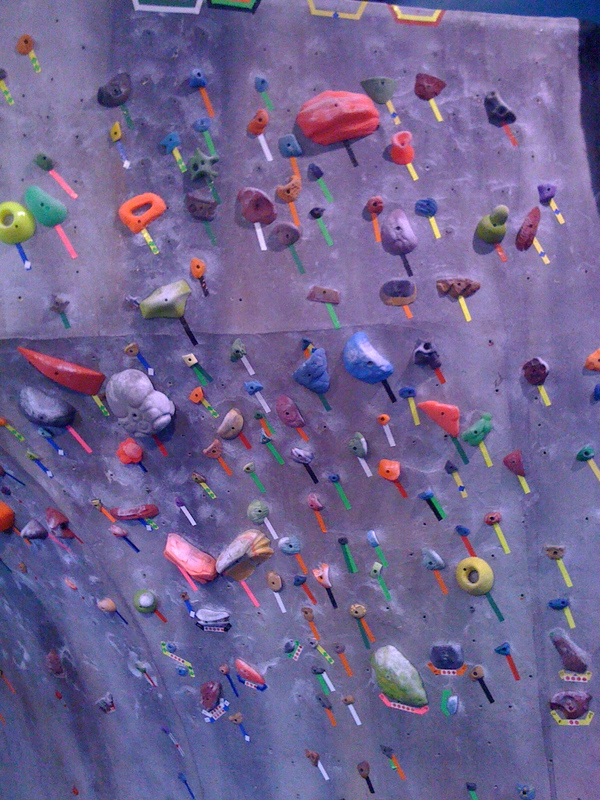 As of Wednesday afternoon there are 45 new problems from 2 spot (yep, there’s one 2 and several 3s and 3+s) to 5+. Several accessible problems climb out the middle and sides of the big roof, the bulge, and the far right side of the dojo, and there are many difficult problems to test yourselves on as well. 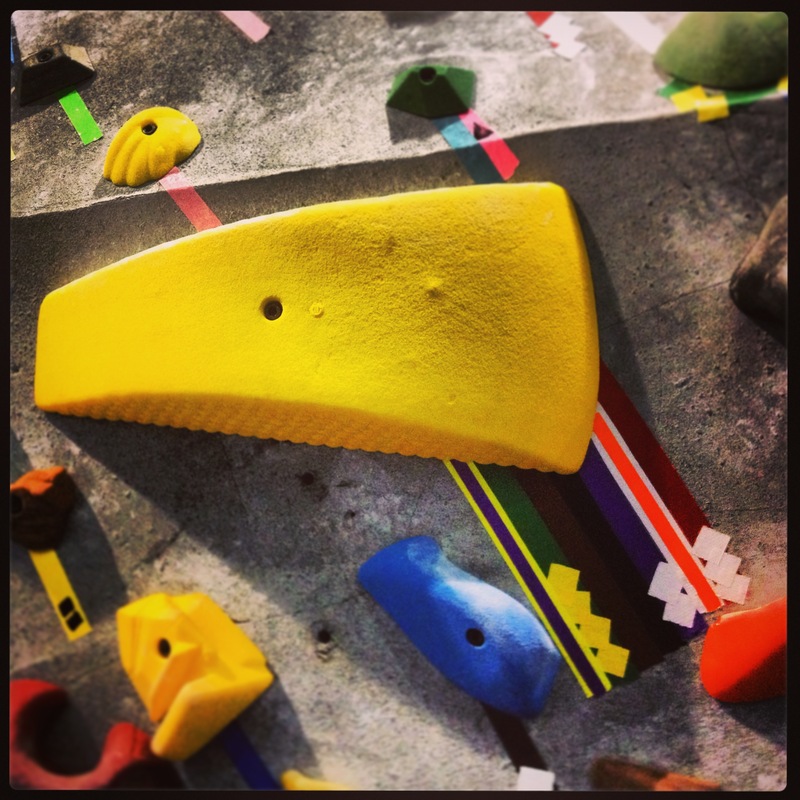 Nic’s problem starts on that e-grips loaf and climbs up through an e-grips sidepull and a Teknik gaston to some cool moves off a custom Revolution sloper, an older So Ill sloper, and another Revolution sloper to the big pink Climb-it feature at the top of the picture.